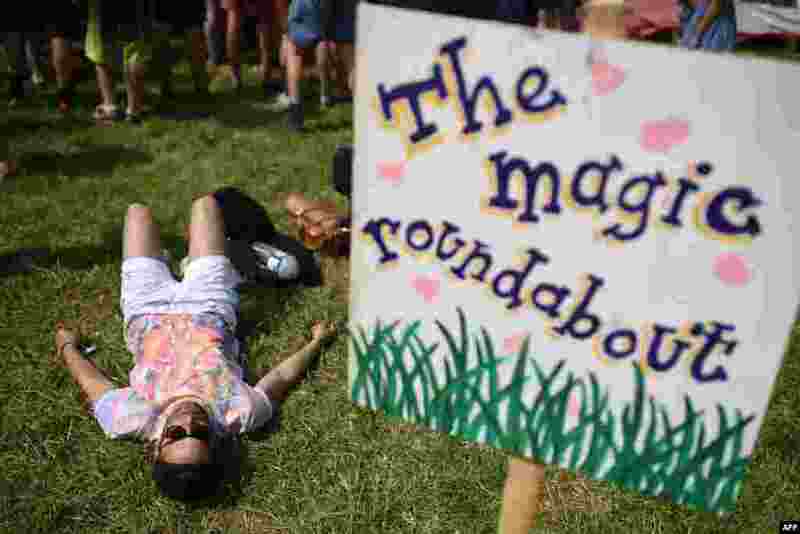 1 A reveler rests on the grass in the Healing Field area of the Glastonbury Festival of Music and Performing Arts on Worthy Farm near the village of Pilton in Somerset, South West England. 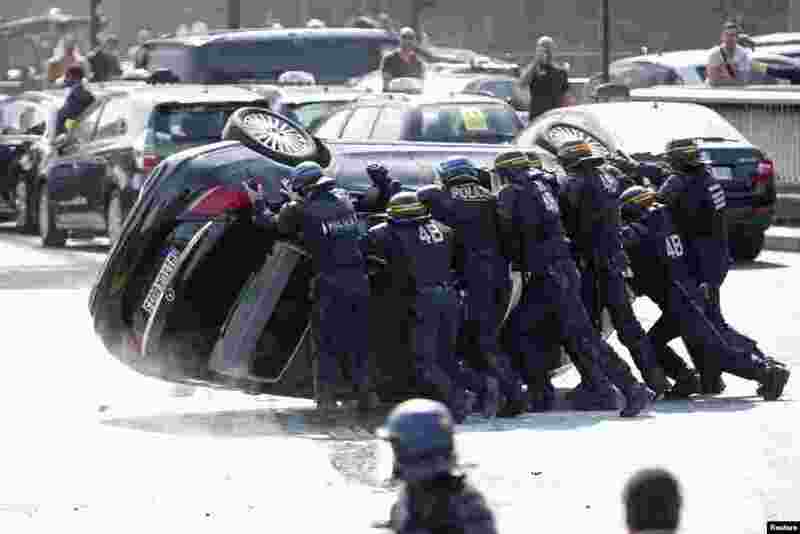 2 French riot police push an overturned car as striking French taxi drivers demonstrate at the Porte Maillot to block the traffic on the Paris ring road during a national protest against car-sharing service Uber, in Paris. 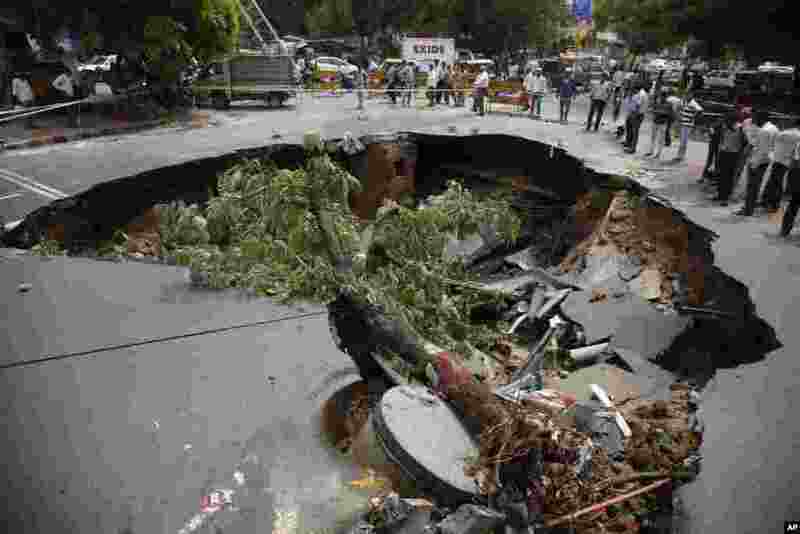 3 People look at a large portion of a road that caved in following heavy rains in Ahmadabad, Gujarat, India. 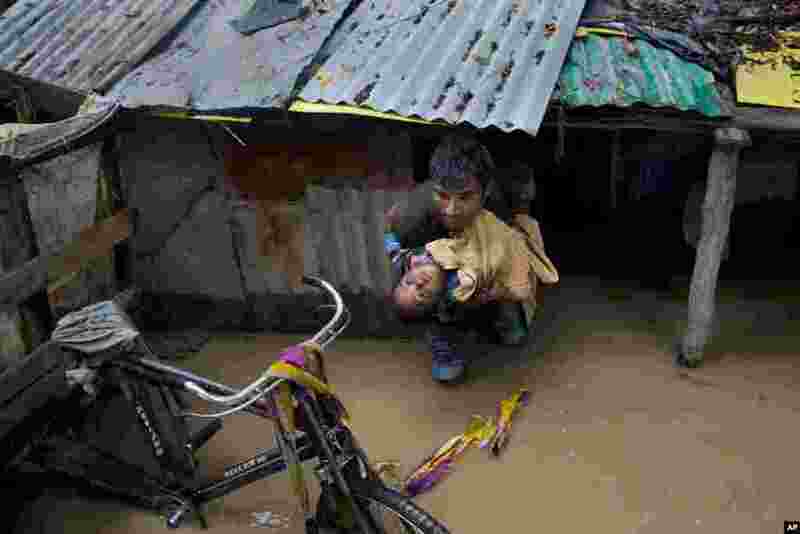 4 An Indian man carries a boy to move to a safer place after their neighborhood was flooded in Srinagar, Indian controlled Kashmir.